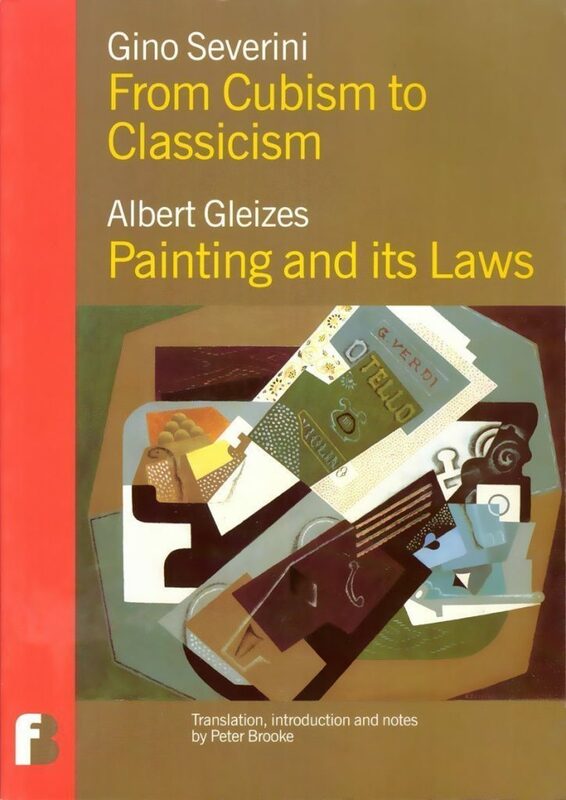 In the two essays in this book, written in the 1920s, Gino Severini, the Italian Futurist painter living in Paris, and Albert Gleizes, painter and co-author of Du Cubisme, the first important theoretical defence of Cubism, reflect upon the central principles that guided painting from the Renaissance to the challenge of Cubism and Futurism in early years of the twentieth century. Severini concludes here that the artist has no choice but to master the scientific facts of pictorial representation, while Gleizes defends non-representational painting as going beyond the principles of the Renaissance to open up our sense of rhythm and time. Peter Brooke is the author of the first major biography of Albert Gleizes, Albert Gleizes – For and Against the Twentieth Century, Yale University Press, 2001 and the translator and editor of Art and Religion, Art and Science, Art and Production by Albert Gleizes, also published by Francis Boutle Publishers. A memoir of Albert Turpin’s remarkable life illustrated by Turpin’s paintings and drawings as well as cuttings, posters and photographs. Posters and graphics, cartoons by Steve Bell and Martin Rowson, art works in support of the campaign by Banksy, Jamie Reid, Peter Kennard, Ralph Steadman, David Gentleman and Billy Childish. 4973: Berkeley Protest Posters 1970 reproduces a collection of 136 handmade posters, mostly silkscreened on recycled computer paper, produced by students in the Political Poster Workshop in Berkeley, University of California, to protest against America’s war in Vietnam and the decision of the Nixon administration to take the war into Cambodia. The numbers 4973 in the title were thought to protect the posters from being removed by the Berkeley Police Department.